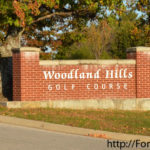 With the arrival of spring-like temperatures, the Woodland Hills Golf Course is prepared for an increase in golfers and events and features a number of changes and improvements accomplished in recent months. 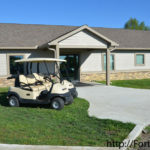 About six years ago, the city of Fort Scott purchased the golf course from the owners, who were no longer able to keep it up themselves. 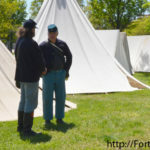 At that time, City Manager Dave Martin was new to his position and faced an unpopular decision concerning the course. 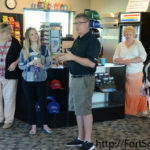 Martin said at a Chamber of Commerce event Thursday morning that some residents encouraged the city to invest in the course while others urged them to stay out of such an endeavor. From the beginning, Martin said the city knew it could not only be the city involved, but the entire community invested. 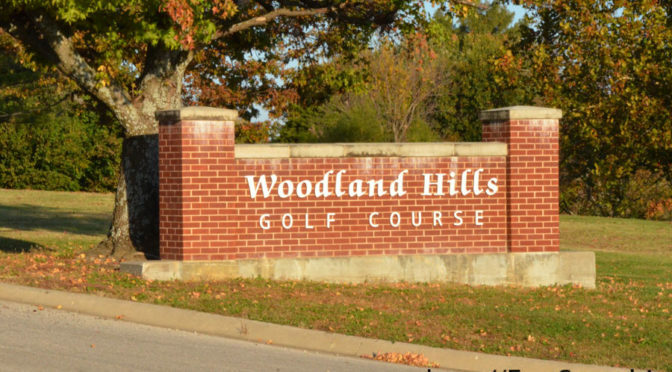 Because of the community support, the golf course has been able to make a number of improvements as it provides further recreational options for the city. 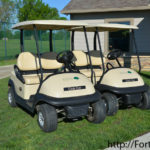 In just the past year the golf course has constructed a new clubhouse, employed a professional in Shannon O’Neil as the director, leased new golf carts, created a new website and are now beginning the process of building a new golf cart shed. Rates are $12 for individuals Monday-Thursday, and $14 for individuals over the weekend. The course has more than a dozen employees, including some high school students who hold part-time jobs. 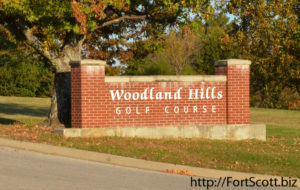 Throughout the year, the course provides a location for tournaments, both for out-of-town and for local high school teams. A number of fundraising tournaments are also held at the course. Upcoming events include the Elks Lodge Spring Golf Tournament Saturday to raise funding for fireworks, the Second Annual Mercy Health Foundation Tournament on June 10, one hosted by the Fort Scott Area Chamber of Commerce on July 28, and a number of other scrambles held on specific weekends over the summer. We had just pulled out of the church parking lot and these were threatening words to my sons, Jeff and Adam, ages 4 and 3 years respectively, who were engaged in a finger battle in the back seat of the car. They creepy-crawled their fingers to an imaginary line separating them. And then they attacked. What started with fingers ended up in a slug fest. Returning to my driver’s seat, I put on my blinker and pulled onto the California freeway, tilting my rearview mirror and craning my neck to see what would happen next. Jeff started. His index and middle finger wormed their way to the “middle line.” Adam did the same from his side. My sons were within one-quarter inch of each other, a standoff of fingers, ready to strike. And then it happened. Jeff crossed the “line” and attacked Adam’s fingers, twisting them into a knot. Adam wailed. Our government recently saw the devastating consequences of meaningless words. Assad’s warning was that I meant it. President Obama did not. A few weeks ago, Syria’s dictator dared us again. To him, our “red line” was an idle threat. But this time, it wasn’t. After Assad used chemical weapons on innocent children, President Trump ordered an attack on two of the Syrian chemical airfield locations. I know that what I did on that California freeway pales in comparison to what President Trump did, but empty words are epidemic in this generation. How many times do we hear parents threaten—even using the “1-2- 3” countdown—and then do nothing? Friends share the juicy news they promised they wouldn’t. Commitments to volunteer at church are cancelled for an invitation to golf or a shopping spree. Too many times, promises aren’t followed and threats are hollow. Matthew 5:37 gives us Jesus’ perspective on such words: “Simply let your ‘Yes’ be ‘Yes,’ and your ‘No,’ ‘No’; anything beyond this comes from the evil one.” There are no pinky promises, no crossing our fingers, no I swears, no “Just kidding” and no crossing over on the line on the seat. You say it? You mean it. With Senator Jake LaTurner taking on the duties of the state treasurer after being appointed to that position by Governor Sam Brownback on April 18, the Republican Precinct Committee members of LaTurner’s 13th District face the task of nominating his replacement. Four candidates are currently being considered for the nomination to the seat, whose district includes the southern part of Bourbon and Labette counties and all of Cherokee and Crawford counties. Local party leader Randall Readinger said the Convention of Delegates will be held in Pittsburg Sunday, where nominations will be made and voted on by those committee members of the district. The voting will happen in rounds until a candidate receives a majority of the votes. 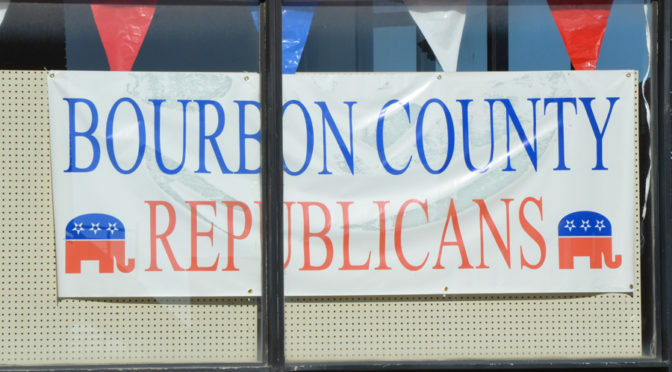 A forum was held Tuesday afternoon, when members of the Republican Party were able to hear candidates introduce themselves and discuss topics such as education funding, rural hospital issues, tax lid legislation and their commitment to defending the seat during a special election in 2018. The four candidates up for nomination include Richard Hilderbrand of Galena, Dale Coomes of Girard and Todd Briggs and Terry Calloway of Pittsburg. 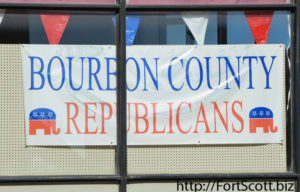 Jeff Fischer and Robert Uhler of Bourbon County initially submitted their names as potential candidates but later withdrew. Readinger said the consensus after the forum was that the candidates have varying backgrounds and experiences and any of them would serve the district well. “Any of them could do a good job for the District, if elected,” Readinger said. The successful nominee after Sunday’s vote is expected to take his position Monday, May 1, with the beginning of the new legislation session. 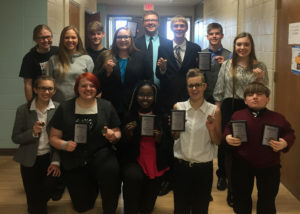 After finding success in this season’s debate tournaments, 13 Fort Scott High School students qualified for nationals, the largest number in the team’s history. Those students include Darby Toth, Zach Humble, Joe Adams, Mark Adams, Alex Gorman, Isabella Provence, Rebekah Sweyko, Brooklyn Lyons, Madi Toth, Emma Faith Humble, Elizabeth Ngatia, Seth Cross and Chloe Studyvin. “I felt relieved, accomplished, because all of my hard work finally paid off,” said sophomore and first-time qualifier Chloe Studyvin. 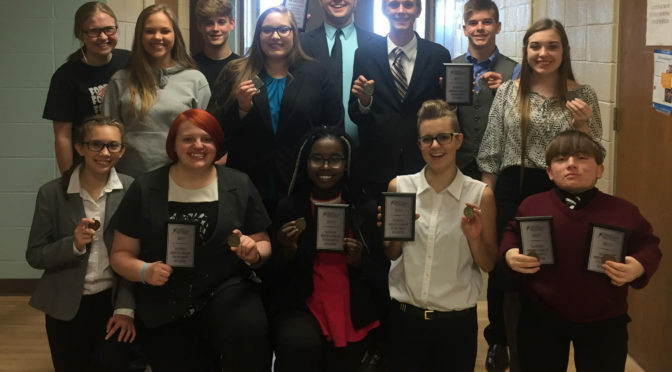 Each team participates in 12-14 regular season tournaments before moving on to district tournaments in the National Speech and Debate Association. 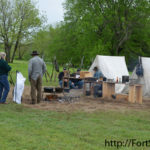 The students can compete in two of the 13 different events in an effort to be one of the two students to qualify for nationals from each category. 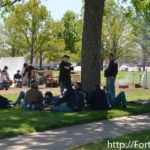 The categories Fort Scott students qualified in include Student Congress-House, public forum debate, Lincoln Douglas debate, humorous interpretation, informative speaking, duo interpretation and program of oral interpretation. The students will travel to Birmingham, Al., in June to compete. The team has held a number of fundraisers throughout the year for the trip, but still lacks about $2,000 according to Toth. The final fundraiser will be a Community Showcase at the Ellis Fine Arts Center on May 1, at 7 p.m., with the team requesting free will donations from those attending. 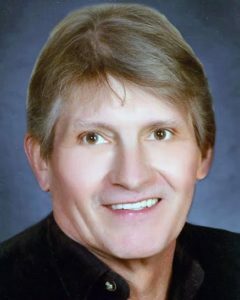 Ian Ray “Kirk” Keitzer, age 56, a resident of Fort Scott, Kansas, passed away Monday, April 24, 2017. He was born September 9, 1960, in Kansas City, Mo., the son of James Keitzer and Joyce Smith Keitzer. Kirk grew up in the Brookside area of Kansas City. He attended and graduated from the Kansas City Christian High School in Merriam, Kans., with the Class of 1978. He later attended College of the Ozarks in Branson, Mo. Kirk was an avid sportsman who enjoyed baseball, basketball, football, golf and fishing. 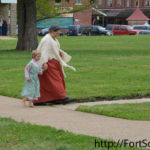 He moved to Fort Scott in 2003 and worked for Carlisle Company until his illness forced his retirement. Survivors include his sweeties and companion of thirty years, Rhonda Chinn, of Fort Scott and her children, Rachelle Sprague and Bart Chinn, both of Fort Scott; his grandchildren, Lee Sprague, Justice Sprague, Mia Hull, Garrett Chinn, and Darius Chinn, all of Fort Scott, Sarah English and husband, Josh and great-grandchildren, Wyatt, Elijah and Sophia English all of Peculiar, Mo. Also surviving is a sister, Renee Grainger and husband, Frank of Belton, Missouri. He was preceded in death by both his parents and his two brothers, Allen and Eric Keitzer and his beloved grandmother, Helen Stonebreaker Smith Tanner. A private graveside service will be held Thursday at the Fairview Cemetery east of Mildred, Kansas. The family will receive friends from 5 to 7 p.m. Wednesday at the Cheney Witt Chapel, 201 S. Main, Fort Scott. Words of remembrance may be submitted to the online guestbook at cheneywitt.com. Lewis Kelley Arnold, age 91, a former resident of Fort Scott, Kans., and more recently of Pittsburg, Kansas, died Monday, April 24, 2017, at Via Christi Hospital, Pittsburg. He was born September 21, 1925, in Fort Scott, the son of Lewis B. Arnold and Susie M. Kelley Arnold. 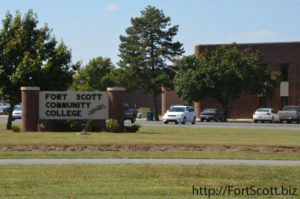 Kelley graduated from the Fort Scott High School. 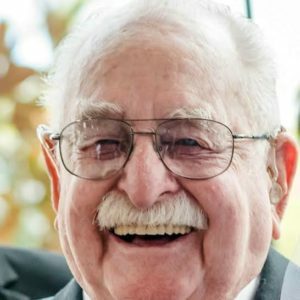 He served with the United States Army during World War II. He first married Maxine Ashford on September 9, 1951, at Fort Scott. She preceded him in death on July 14, 1998. He later married Carol Simmerman. She preceded him in death on March 5, 2015. Kelley had managed the Ben Franklin Store in downtown Fort Scott for many years. He later operated his own mechanic shop. He was a member of the Community Christian Church. He was also a member of the Olson Frary Burkhart Post #1165 Veterans of Foreign Wars, the American Legion, the Garland Masonic Lodge, the Scottish Rite Consistory and the Mirza Shrine. Survivors include two granddaughters, Natasha Carballo and husband, Eric, and Nacole Smith and fiancé, John Williams, all of Dallas, Texas, and several nieces and nephews. 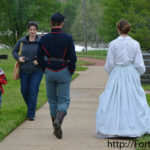 In addition to his wives, he was preceded in death by a son, Stephen Arnold and a daughter, Susan Smith. Funeral services will be held at 12:30 p.m. Friday, April 28, at the Cheney Witt Chapel. 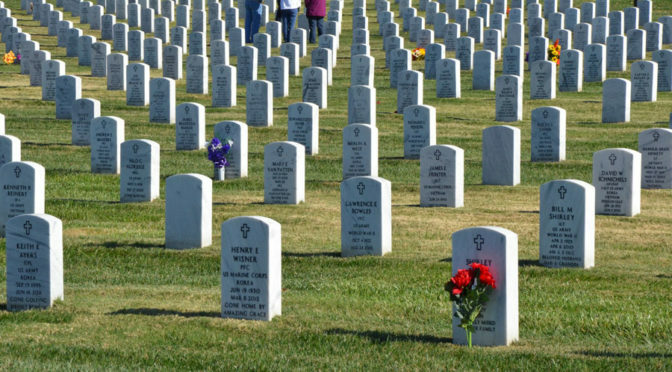 Burial will follow in the U. S. National Cemetery where military honors will be provided by the Olson Frary Burkhart Post #1165 Veterans of Foreign Wars. The family will receive friends on Friday from noon until service time at the Cheney Witt Chapel. In lieu of flowers, memorials are suggested to Avalon Hospice’s Blossom for Hearts Program and may be left in care of the Cheney Witt Chapel, 201 S. Main, P.O. Box 347, Ft. Scott, KS 66701. Words of remembrance may be submitted to the online guestbook at cheneywitt.com. 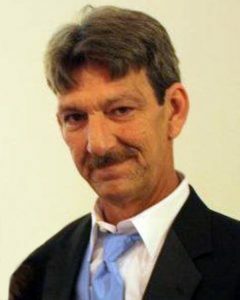 Troy Dale Beerbower, age 54, a resident of Fort Scott, Kans., passed away Saturday, April 22, 2017, at the Mercy Hospital in Fort Scott. He was born April 24, 1962, in Fort Scott, the son of Lowell William Beerbower and Donna Kay Lawson Beerbower. He graduated from Fort Scott High School and Pittsburg State University. He married Kim Felt in May of 1989. Troy owned and operated Troy Beerbower Restoration which specialized in masonry and roofing as well as other construction related projects. He enjoyed fishing and spending time outdoors. He also liked playing softball and basketball as well as cards. He was a member of the Faith Church. Survivors include his wife, Kim of the home; three children, Derek Stumfoll and wife, Samantha, and Amanda Larsen, all of Fort Scott, and Kandyce Cox and husband, Blake, of Uniontown, Kans., and also a grandson who he was raising, Brian Stumfoll, of the home in Fort Scott; eleven additional grandchildren, Bailey, Blakely, Catherine, Christian, Lyrics, Braxtyn, Daetyn, McKennon, Peighton, Kamden and Gabriel. 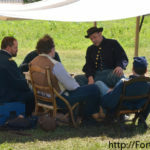 Also surviving are four brothers, David Beerbower and wife, Donna Jo, of Fort Scott, Allen Beerbower and wife, Kim, of Redfield, Kans., Gary Beerbower, and L. W. Beerbower and wife, Julie, also of Fort Scott and a sister, Rhonda Tinkey and husband, Preston, of Fort Scott as well as numerous nieces, nephews and cousins. He was preceded in death by his parents. Pastor Matthew Hunt will conduct funeral services at 10 a.m. Friday, April 28, at the Cheney Witt Chapel. Burial will follow in the Marmaton Cemetery. The family will receive friends from 5 to 7 p.m. Thursday at the Cheney Witt Chapel. Memorials are suggested to the Troy Beerbower Memorial Fund and may be left in care of the Cheney Witt Chapel, 201 S. Main, P.O. Box 347, Ft. Scott, KS 66701. Words of remembrance may be submitted to the online guestbook at cheneywitt.com. 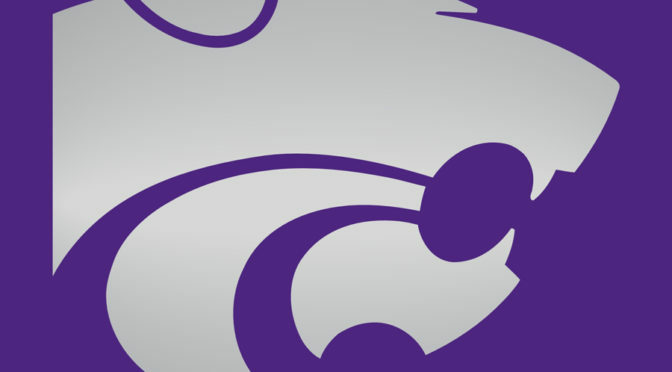 The Kansas State University Meat Animal Evaluation Team won National Champion honors in the 2017 Collegiate Meat Animal Evaluation Contest in Manhattan, Kans. The team was recognized Tuesday, April 4, at the Stanley Stout Center following the three-day competition. Team member Chase Gleason, Uniontown, Kans., won high individual overall honors at the National Collegiate Meat Animal Evaluation Contest. He also won high individual in the market animal and swine divisions. The event, previously known as the AKSARBEN contest, now rotates between host institutions across the country. The competition includes live market animal carcass predictions and pricing, breeding animal evaluation and meat judging competition, and truly serves as a capstone judging experience for students with its incorporation of so many industry-applicable concepts. The team first won the market animal, breeding, swine and communication divisions of the contest. 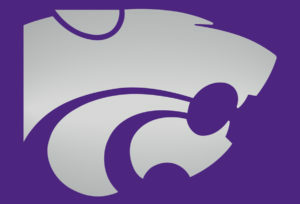 Individually, K-State had three place in the top 10 overall. Gleason, Uniontown, Kans., won the high individual title. Shelby Teague, Fort Morgan, Colo., placed third overall and Brooke Jensen, Courtland, Kans., was fourth overall. The Fort Scott Community College Music Department will present the annual Spring Concert on Thursday, April 27, at the Danny and Willa Ellis Family Fine Arts Center, 2108 South Horton, Fort Scott, Kans. The choir’s performance will begin at 7 p.m., followed by a solo xylophone performance by student Bryce Sandstoe. Choir selections will include “Alleluia,” by Randall Thompson and a Wizard of Oz medley. The band will perform a nonstop rock revue, which will cover rock music from 2017 to 1959. The concert is free and open to the public. For more information, please contact Ronda Bailey at 620-223-2700, ext. 3120 or Greg Turner at 620-223-2700, ext. 3057. 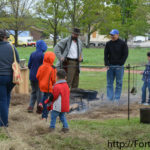 The Fort Scott Community College Baseball Program will host the annual 5 Corners Mini Mart Youth Camp on Tuesday, May 2, from 5:30 to 7 p.m. at the Lions Club Field in Fort Scott, Kans. 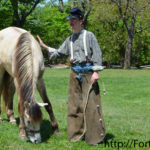 The camp is open to students ages four through 14. Campers will receive instruction from FSCC’s baseball coaching staff and players on fundamentals including base running, hitting and throwing. 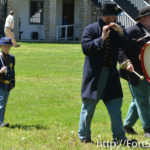 The cost for the camp is $15 per student; the fee includes a t-shirt. Registration will begin at 5 p.m. at the Lions Club Field. For more information, please contact John Hill, FSCC Head Baseball Coach, at 620-223-2700, ext. 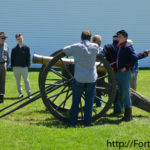 7170 or johnh@fortscott.edu. 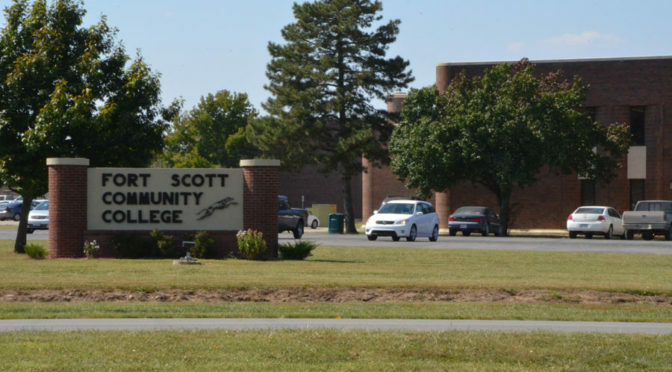 The Fort Scott Community College Men’s Basketball Program will host its annual summer basketball camp from 10 a.m. to 3 p.m., Monday, June 5, through Thursday, June 8, at Arnold Arena, 2108 South Horton, Fort Scott. The camp, open to students grades 3-9, will emphasize basketball fundamentals including ball handling, shooting and defense as well as strategy and conditioning. 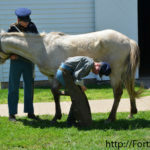 Campers will receive individual and group instruction from FSCC’s highly qualified staff. The cost is $50 per student. To preregister, visit fsgreyhounds.com/sports/mbkb/2016-17/releases/20170403qq7ybv. For more information, please contact Michael Cook, FSCC Head Men’s Basketball Coach, at 620-223-2700, ext. 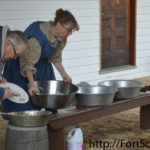 7280 or michaelc@fortscott.edu. 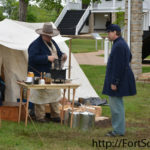 The Fort Scott National Historic Site welcomed visitors from neighboring counties and even states for their 35th annual Civil War Encampment held over the weekend. 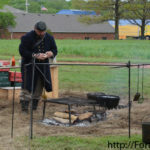 The site welcomed a number of volunteers from the Holmes Brigade, 4th Missouri Cavalry, Western Bluecoats Field Hospital, 3rd Kansas Artillery Battery B and other local residents who dressed in Civil War period clothing and gave a number of demonstrations including baking, soap-making, infantry, cavalry and artillery. 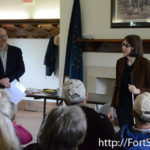 Historian and author Diane Eickhoff gave a program on Women Soldiers of the Civil War, discussing roles the women played during the war, such as in laundry, cooking, knitting, teaching and nursing as well as by working in factories and arsenals and as clerks, spies, scouts and soldiers. 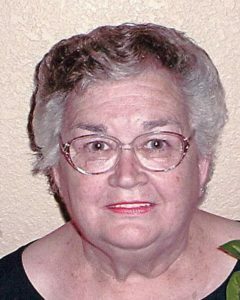 Rose Alene Feagins, age 83, a resident of Fort Scott, Kans., passed away Sunday, April 16, 2017, at her home. She was born October 9, 1933, in Alpena Pass, Ark., the daughter of Alex C. Craig and Stella Garrison Craig. She married Billy Joe Feagins on December 9, 1951. They later divorced. Alene had worked in housekeeping and as a nurse’s aide for Mercy Hospital for thirty years. She retired in 1996. 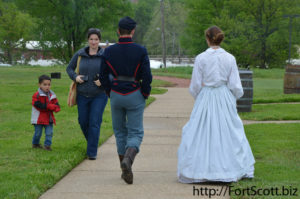 She enjoyed gardening, embroidering and reading as well as spending time with children and her dogs. She also collected glass baskets and salt and pepper shakers. She was a member of the Marmaton Community Church. Survivors include her seven children, Wanda Ogle and husband, Dale, of Fort Scott, Margaret Spencer, of Pittsburg, Kans., Ruth Hawkins, of Fort Scott, Randy Feagins of Fort Scott, Karen Bley and husband, Randy, of Deerfield, Mo., Michelle Cunningham and husband, Mike, of Leavenworth, Kans., and Michael Feagins and wife, Kim, of Fort Scott. She was preceded in death by her parents and two sisters, Irene Feagins and Dorothy Wiebeck. Pastor Jeff Feagins will conduct funeral services at 11 a.m. Wednesday, April 19, at the Marmaton Community Church. Burial will follow in the Evergreen Cemetery. The family will receive friends from 5 to 7 p.m. Tuesday at the Cheney Witt Chapel. Memorials are suggested to the Marmaton Community Church or to Paws & Claws Animal Shelter and may be left in care of the Cheney Witt Chapel, 201 S. Main, P.O. 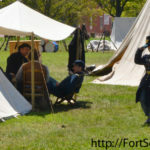 Box 347, Fort Scott, KS 66701. 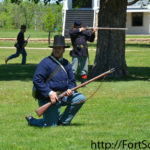 Words of remembrance may be submitted to the online guestbook at cheneywitt.com. Edna Mae Tourtillott, age 78, resident of Fort Scott, died Monday, April 17, 2017, at her home. She was born October 19, 1938 in Linn County, Kans., the daughter of Jacob Barrett and Cleta Paddock Barrett. Edna Mae was a graduate of Prescott High School. She married Richard Sharp in 1960. They later divorced. She married Raymond Tourtillott in 1983. In earlier years she worked for Western Insurance Company. 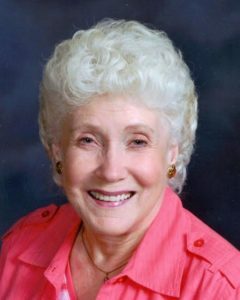 She retired following 27 years as shipping clerk for Ward Kraft Business Forms. She was a member of Community Christian Church and the 55 Plus church group. 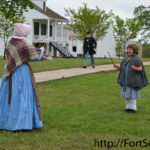 She enjoyed camping and spending time with grandchildren. Survivors include her husband, Raymond, of the home; two sons, Richard Sharp and wife, Jennifer of Olathe, Kans., and David Sharp and wife Michelle, Fort Scott; one daughter, Sherry Culp, Fort Scott; two step-sons, Michael Tourtillott and wife Sandy, Las Cruces, N.M., and Joseph Tourtillott and wife Becky, Fort Scott; one sister, Mildred Bolin, Fort Scott; and a sister-in-law, Carol Barrett, Fort Scott. Also surviving are 12 grandchildren; eight great-grandchildren, and numerous nephews and nieces. She was preceded in death by her parents; her brother, Robert Barrett; sister, Mary Johnson and a great-grandson, Gavin Sharp. Tim Woodring will conduct funeral services at 10 a.m. Friday in the Cheney Witt Chapel. 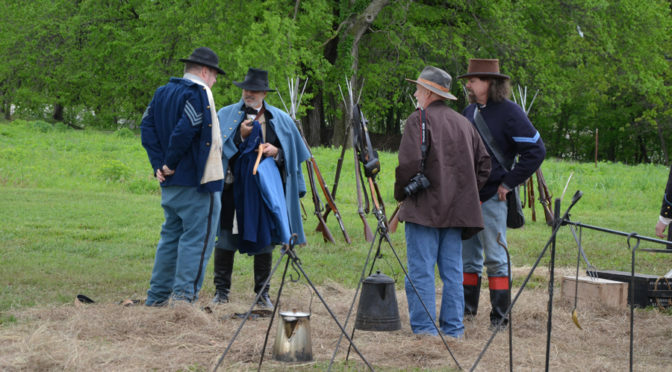 Burial will follow in Evergreen Cemetery. The family will receive friends from 6 p.m. to 8 p.m. Thursday at the Chapel. 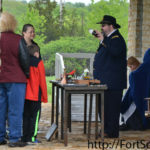 Memorials are suggested to either Mercy Hospice or SE Kansas Respite and may be sent to Cheney Witt Chapel, P.O. Box 347, Fort Scott, Kansas 66701. 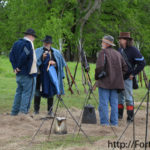 Words of remembrance may be submitted to the online guestbook at cheneywitt.com.